An International Antitrust Primer discusses the substantial revisions and updates reflecting the worldwide activities undertaken by competition law authorities, including meeting the challenges posed by the digital age. Despite the continuing inter-governmental cooperation over the regulation of international commerce, significant cross-country differences persist in areas such as merger control, notification to authorities, and remedies deemed appropriate for antitrust enforcement. Accordingly, companies must be aware of the rules that apply in the countries in which they do business. This fourth edition—eleven years after the publication of the third edition—provides a thorough update on the status of competition regulation in a number of key jurisdictions, including the up-to-date case law involving the technology giants Google, Microsoft, Amazon, Apple, and Facebook. This fourth edition is peerless as no other work so lucidly and helpfully explains competition law for those who require a working knowledge of the subject to proceed confidently with their day-to-day work. 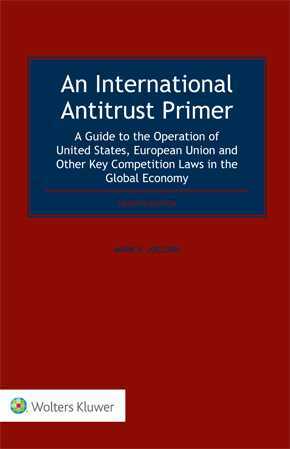 This edition continues to serve business persons, government officials, students, lawyers, and others who have been relying on this preeminent resource for years to know how antitrust law enforcement authorities are grappling with the competitive challenges posed by business giants.